Sludge Away is a powerful combination of organic and petroleum solvents that will quickly break down asphaltics and asphaltenes that settle out of fuels and fuel oils and congregate at the bottom of the tank as a thick clogging sludge. Sludge Away causes the fuel to reabsorb and hold these components in suspension until they can be burned. Sludge Away causes fuel to be atomized better by the burners for more efficient combustion and reduced emissions. With today’s Hi-Tech electronically controlled burners, the need to make older equipment last longer, the need for a high quality fuel treatment is more important than ever before. 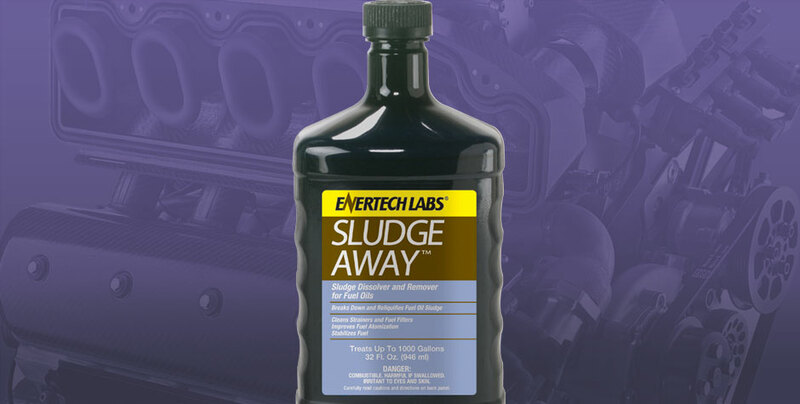 Sludge Away’s highly concentrated formula uses only 32 ounces to treat 1000 gallons. For best results, add contents to fuel tank prior to fueling. The fueling process will ensure that complete and proper mixing takes place.Use 32 ounces for each 1000 gallons of fuel (1:4000 treatment ratio). In difficult cases you can use 32 ounces for each 500 gallons to speed the cleaning process.